Only thing left to do is to create the Chest gear and I'm about done! Merged all the textures into one. 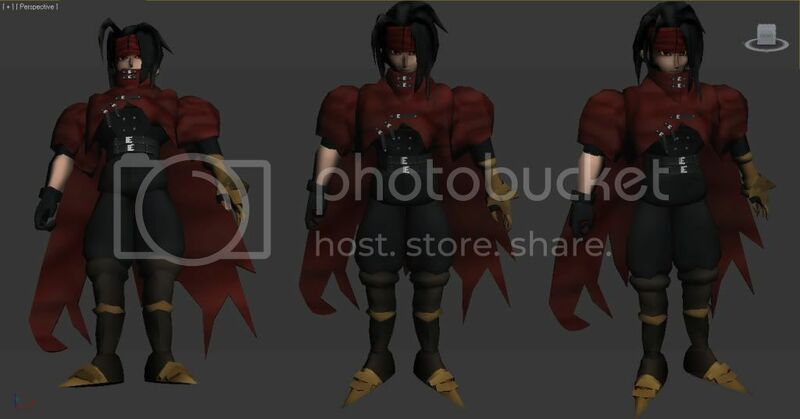 The cape isn't as high quality compared to the old pictures in terms of lines and folds within the cape. 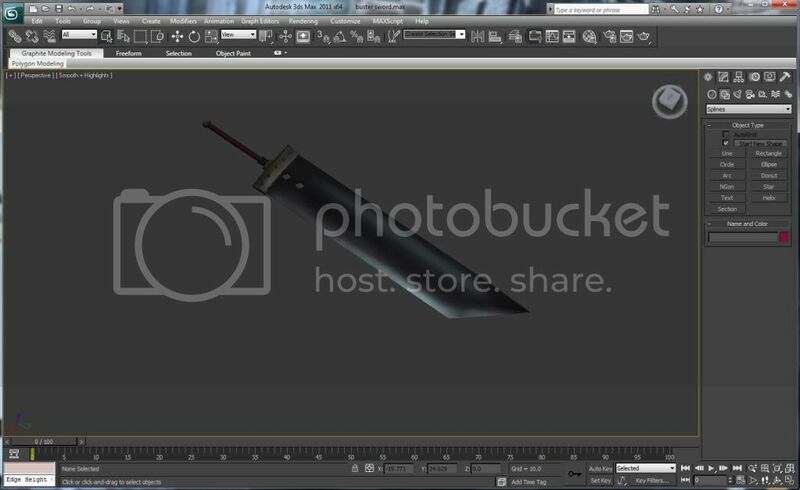 But i rather use 1 texture file in-comparison to 6. 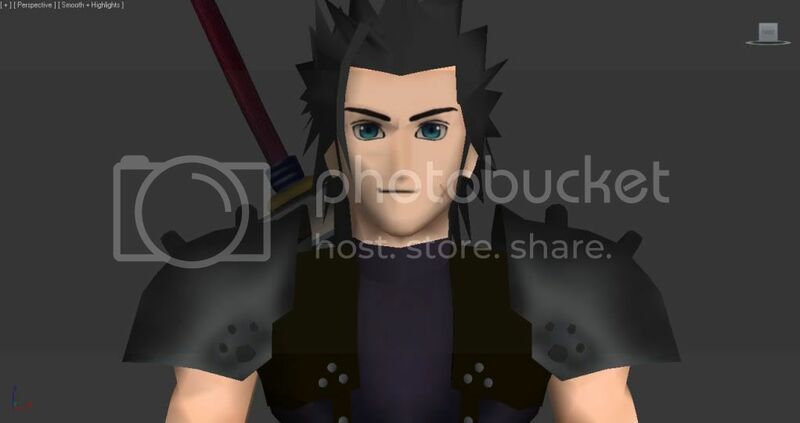 I did upscale the face texture and redrew the eyes however. I think this is a good compromise, the cape was too detailed compared to the other characters anyway. So do you like the new Vincent compared to my old release? 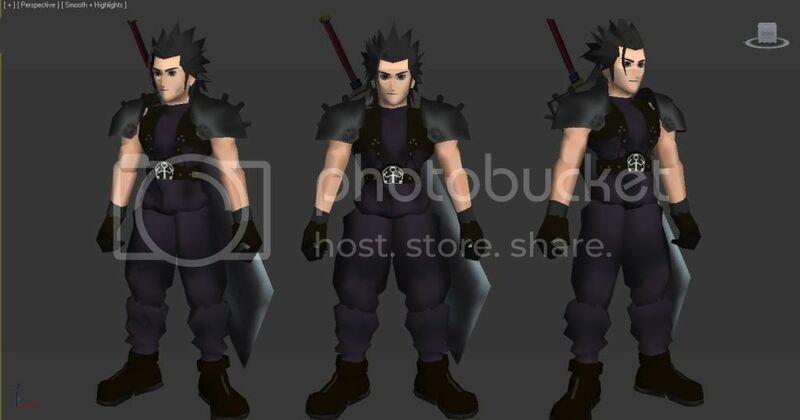 Re-model all npcs With current art style In the near future. Okay! It's ported into the game! Only made the main field model so far. This will be an beta release. I do plan to do the rest of the main characters eventually! Download includes a non shaded npc and a shaded one. Keep in mind, it's not the finished product. Oh and he can also blink! 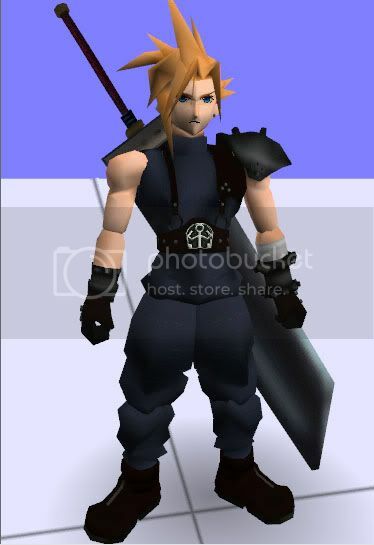 Re: [WIP] Simple Cloud Model inspired by fmv Beta Release! If you'd start a thread spelling out how to get the field models to blink... I'm sure you'd make allot of folks around here happy. Even if it's just a numbered text list, because I've completely forgotten... I remember finding the simple instructions somewhere here on the forum by searching but it wasn't easy. 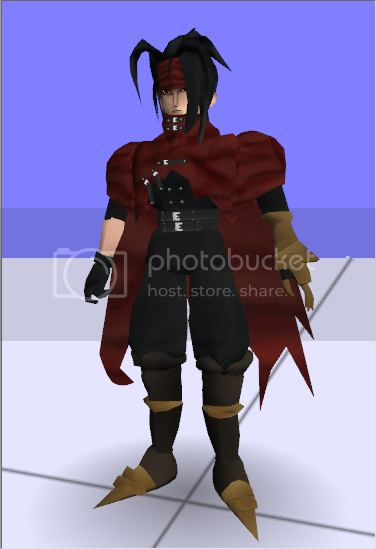 I made a proto-type APZ Cloud chibi field model and got him to blink... that that was years ago and those files are gone. I understand if it's asking too much, but it'd help. I think this would be the Ideal model-style to go for... 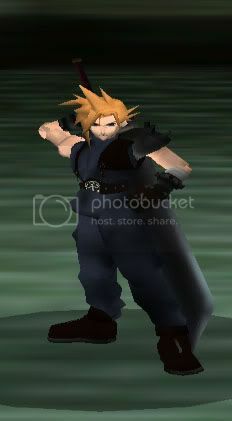 I actually really like the way he pretty much fits in with the FMV Cloud. to get him to blink dont you just add a second head and texture it so eyes are closed. Haha, I was the same though. It's been years since I made any mods. I literally forgot how to make the model blink and port models. So I referred back to my own tutorials on this forum that I did awhile back when I was in high school. Thank god that qhimm keeps old threads. Surprisingly all my tutorials are still here, just that it's scattered everywhere. Anyway thanks! So from memory there was a proper way of doing this with Pcreator via texture Id. 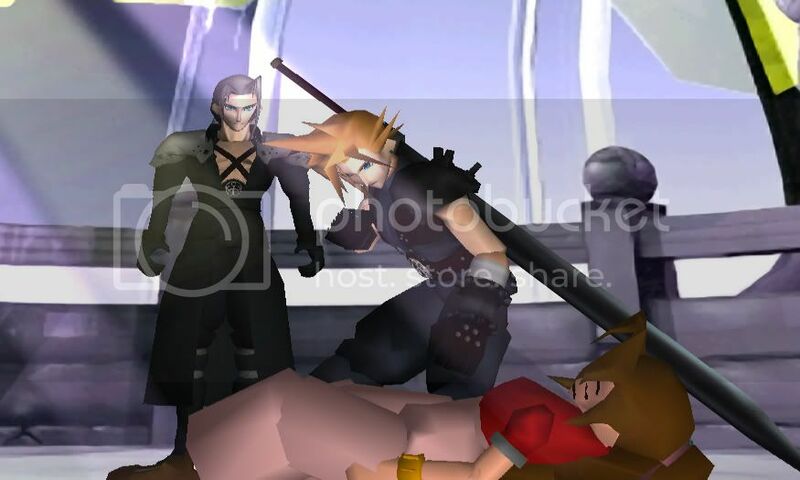 Let's use Tifa for an example. The head model AAHB.p consists of 3 groups. The Ntex is the total number of textures and 0 is the eye texture. 1 is the mouth texture. So as long as you set it up the same way as the original, you will be able to blink correctly. So create a new line TEX=custom.TIM name it whatever you named your tex file as and that will be the texture for the actual head. So have your head model with eyes textured underneath and a plane overlapping it with the same texture file but umv to another area of it, ie closed eyes texture. In Pcreator, change the field ID In relation to to the groups mentioned above. 1. Import the plane for the eyes into kimera first and edit it's rsd properties. Which is ntex=1 and the name of your tex file. eg cloud is aaba.p and after attaching, a new file should be created within the folder named aaba1.p. ...I do plan to do the rest of the main characters eventually! Going to Add a Field model with a sword on his back soon! For now I've updated the model and lighting. The download link can be found above! I love the simplicity (fits with the original game better) . No worries, It's in my to do list! Try it out, the download is back up! Could someone mirror this on a more accessible site? I chose this filehoster because it provides 100 GB free space, unlimited speed, categorization, screenshot and link to this page options. I suggest weeemus to upload there any future updates or I can do it for you. Thanks! Thanks for the heads up. I'll use that next time. I just finished my buster sword. Time to import! I can not wait for the Battle Model and World Map model. This is going to be awesome!